Tag: Sale of the "Gross Clinic"
I have posted on SSRN a working manuscript of my piece Navigating the Deaccession Crisis. I’d like to acknowledge my cohort of arts bloggers who have looked in terrific detail at many aspects of the issue, and the piece is far richer for their insights. In particular, Donn Zaretsky at the art law blog; Lee Rosenbaum at CultureGrrl; Tyler Green at Modern Art Notes; Sergio Muñoz Sarmiento at the Deaccessioning Blog; Richard Lacayo at Looking Around; and many others. My proposal has three parts. First, the unnecessary restriction on deaccession proceeds should be eliminated. Second, when an important work of art is deaccessioned, other museums should be given an opportunity to purchase a work – to keep it in the public trust or its region – in much the same way the United Kingdom and other nations regulate the export of works of art. Finally, when any museum is considering a deaccession, it must provide reasons for the sale and publicize the decision to allow for public comment. 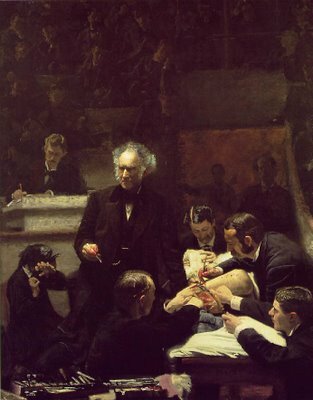 My thinking on deaccession first took shape in the wake of the controversy which surrounded the proposed sale of this painting, Thomas Eakins’ Gross Clinic, back in 2006. Why so much anger over the sale of a painting people weren’t seeing? Are there inconsistencies in the American Museum community with respect to deaccession and the acquisition of potentially looted antiquities? Can the process be streamlined? Will it happen more often? I sought an answer to these questions in the piece, and I’d be much obliged as always to hear any thoughts or reactions. A deaccession crisis confronts the American Museum community. Deaccession of art occurs when a museum decides to sell or dispose of a work of art. The crisis stems not from the practice itself – though there are indications deaccession will occur with increasing regularity. Rather the curious mixture of trust and estates law, state law, tax policy, nonprofit governance, professional guidelines, and doctrines governing deaccession all combine to form a body of rules which lack clarity and often conflict. These general and ephemeral standards preclude reasoned appraisal of whether any given sale may benefit the public. More care should be taken when crafting the rules governing our collective cultural heritage. This article attempts to define the public interest in works of art, and provide a framework to guide in the deaccession of works of art to ensure those sales do in fact serve the public interest. The decision to sell works of art should be taken with care; but the current rules lead to a number of pernicious consequences. They have caused the loss of works from the public trust, the closure of museums and unnecessary legal battles. Current guidelines require that deaccession proceeds be used only to purchase more art; however this rule appears to be a product of one high-profile scandal involving New York’s Metropolitan Museum of Art. To assist donors, museum directors and state Attorney Generals, this article proposes three changes. First, the unnecessary restriction on deaccession proceeds should be eliminated. Second, when an important work of art is deaccessioned, other museums should be given an opportunity to purchase a work – to keep it in the public trust or its region – in much the same way the United Kingdom and other nations regulate the export of works of art. Finally, when any museum is considering a deaccession, it must provide reasons for the sale and publicize the decision to allow for public comment. Donn Zaretsky responds to some lazy criticism by Christopher Knight of his deaccessioning arguments. If you want to have a serious discussion on the merits of a policy, then you should probably avoid distorting the opposing viewpoint, provide some evidence for your position, or at least take the time to read your opponnents views. In this case, painting Zaretsky with a broad “deregulation” brush, and revealing a real distaste for lawyers generally cuts against any broader point Knight may have had. Though the latter probably isn’t a bad idea generally—lawyers are a special breed after all—cultural policy and museum management has too long ignored and shunned sound legal principles. That appears to be a real shame in this case as Zaretsky probably doesn’t disagree too much with Knight’s core philosophy on collections management. It seems to me Zaretsky points out the flaws and inherent inconsistencies in the stated policy. As he argues “what I see myself as having been doing during this debate is pointing out the inconsistencies in, the hypocrisy that is built into, the conventional art world view on deaccessioning (namely that it is perfectly fine when the proceeds are used to buy more art, but absolutely forbidden for all other purposes).” That seems to me to be a very valuable argument, and an important role that few others have done. He goes on to discuss the prominent deaccession examples of recent years, including the National Academy to avoid closing its doors, or Universities want to sell works because of substantial drops in endowments, or Thomas Jefferson decides to sell its $68 million work because nobody visits it, or a universal museum attempts to shift gears because of a declining local economy. Now we can challenge these stated views, and certainly should maintain healthy skepticism of these attempts to deaccession works. However the current rules prevent and even preclude this kind of debate. As I’ve speculated before, one wonders if in this economic climate, we may have to think about adopting the approach much of the rest of the World uses for cultural management, which is an increased level of Government support and funding. Much of the cultural management structures in the UK, such as the Waverley Export Process, were initiated in response to economic hard times, and the loss of art and world-heritage leaving the UK and heading elsewhere, namely to the US. It might be worth remembering, that the Universal Museums in america were formed at the expense of other nations. Though it may be pessimistic, I’m increasingly convinced that art follows money and influence. A great deal of controversy has been brewing recently over decisions by museums to sell parts of their permanent collection, or deaccessioning. First, came the decision by the Pennsylvania Academy of the Fine Arts to sell Thomas Eakins’ The Cello Player to purchase an interest in The Gross Clinic. Now, it seems the Albright-Knox Art Gallery in Buffalo NY has decided to sell a great deal of its permanent antiquities collection to allow it to purchase more contemporary works. The Buffalo News has a list of the works for auction here. Among the works are classical sculpture, Chinese porcelain, a Benin bronze, and a number of other works. Colin Dabkowski of the Buffalo News has an article in yesterday’s Buffalo News which indicates a group of concerned citizens called the “Buffalo Art Keepers” are going to challenge the sale in court. Donn Zaretsky at the Art Law blog has more, as does Lee Rosenbaum. Rosenbaum labels the dispute a “showdown”, but that may be a bit generous for the “Art Keepers”. I agree with Zaretsky that it will be extremely difficult for them to prevent the sale. What it will do is raise the cost, both in terms of legal expenses and public opinion, in deaccessioning. Richard Stanton, the counsel representing the “Art Keepers” says “They intend to protect the membership’s interest in the collection and see that the museum follows its own mission statement and governing rules before they sell off masterpieces of art which have been assembled over the past 140 years.” Perhaps so, and I’ll freely admit I’m not an expert in museum governance regulations, but wouldn’t there be some kind of version of the Business Judgment Rule for museums. In the corporate context, the Business judgment rule states that courts will not step in and interfere with a corporate board’s business decisions. Surely, a similar situation must be at play here. The “Art Keepers” are arguing that the museum has collected and displayed ancient art and antiquities in the past, but has recently changed its mission to focus on contemporary art. I think the neo-classical design of the museum itself would seem to speak to an earlier intention to display older works. However, shouldn’t a museum be able to shift positions? Do we want to box an institution in and prevent it from shifting a mission in the future? What the dispute really involves is a frustration with members of the public that the Albright-Knox has shifted away from displaying antiquities, and towards contemporary art. We may argue with that decision as a matter of personal taste, but museums should be able to switch positions, and we want our cultural institutions to have some degree of flexibility. Another dimension to this decision may be that the recent string of repatriation requests by the Italians and Greeks may encourage a museum, especially one needing funds, to sell their antiquities before a source nation makes a very public and very unpleasant request for their return. I do not know the provenance of the Benin bronze the museum has decided to sell, but many of them were taken under less-than-savory circumstances in the 19th century in the Punitive Expidition of 1897. Nigeria has a compelling ethical case to be made for their return. Limiting museum decision-making could severely restrict our ability to have strong and viable cultural institutions. You risk a great deal by forcing an institution to repatriate objects while also preventing it from selling and managing its collection in a responsible manner. Export Restrictions, The Waverley Criteria and Eakins’ "The Gross Clinic"
If a work can fall under any one of these three categories, export will be temporarily restricted by the Department of Culture, Media and Sport (DCMS) so a UK buyer can raise enough money to keep the work in the UK. The export license for this work may be delayed until 11, May 2007. I am not sure who owns the work, or if it is even publicly displayed. It was part of an exhibition at the Tate Gallery from June – August of this year. The restriction begs the question though, if the work is not generally on display to the public, do UK residents get some kind of inherent benefit out of having the work in private hands? Such is not the argument over the recent decision by Thomas Jefferson University in Philadelphia to sell Thomas Eakins’ “The Gross Clinic” (1875) for $68 million, pictured below. Of its own volition, the University has decided to delay the sale so that Philadelphia can attempt to raise enough money to keep the work in the area. For information on the fund-raising attempts, see Stephan Salisbury’s piece in the Philadelphia Inquirer. Donn Zaretsky’s Art Law Blog has a good analysis of the decision to sell here. At the heart of both of these decisions, lies a question which often plagues cultural property. Do very beautiful and valuable works have a single true home, or should they be displayed anywhere? These works engender civic and national pride, and a city or nation is loathe to give them up without a fight. However, at least with respect to the Waverly Criteria, the UK’s position seems quite contradictory. How much of the British museum would have been left in its source nation if Waverley Criteria had been applied? The answer is not much. However, there is a good argument to be made that the Museum is taking good care of these objects, and millions of visitors get to view and experience them. There are not any easy answers to this question. Ultimately, though we may criticize the decision of Thomas Jefferson University to sell the work, it went about the sale in a responsible manner, in such a way that allows concerned parties to raise funds for the work to stay in Philadelphia. 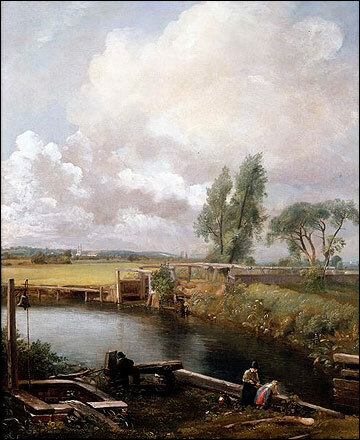 Author Derek FinchamPosted on November 20, 2006 Categories UncategorizedTags DCMS, Export Restrictions, John Constable, Sale of the "Gross Clinic", Thomas Eakins, Waverley CriteriaLeave a comment on Export Restrictions, The Waverley Criteria and Eakins’ "The Gross Clinic"